The city of Hull sits in Yorkshire, on the north bank of the Humber Estuary. Founded on reclaimed tidal marsh, this low-lying coastal city faces significant resilience challenges. The city has always been shaped by water, both as an opportunity and a threat. The cross-sector Living with Water Partnership is driving forward a vision for a water resilient and thriving city. More homes are at risk of flooding here than any other UK city apart from London. With over 90% of the city below high-tide level, the city is fully reliant on pumping and major tidal defences to protect it from flooding. Hull is one of the eight cities that has contributed to the development of the City Water Resilience Approach. With a wealth of knowledge and experience to contribute, it is used to dealing with flooding risk from multiple sources: tidal surges, fluvial flows, surface water and groundwater. Following the major flooding in 2007 and 2013, which impacted 11,332 properties in Hull and Haltemprice, Hull City Council (HCC), Yorkshire Water, the Environment Agency and East Riding of Yorkshire Council (ERYC) built partnerships leading to formation of the Living with Water Partnership. Through innovative engagement, such as the recent Hull-timate Challenge and extensive work with schools and local communities, the LWWP is raising awareness of flooding and building community capacity as well as initiating a programme of projects to address water challenges. Hull now has one of the most comprehensive Strategic Flood Risk Assessments in the UK (Hull City Council, 2016). Hull and East Riding of Yorkshire is seeing over £200m investment in flood risk reduction projects, including construction of new river and estuary defences, flood attenuation areas and pumping stations. This level of investment is significant and will better protect thousands of homes and businesses in the area. 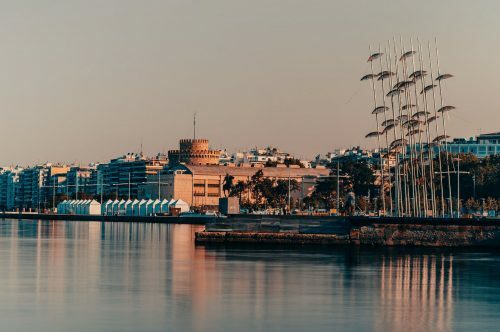 However, construction of flood defences is only part of its approach, with flood awareness, adaptation, sustainable development, resilience, and working together in partnership, all playing a significant role in helping create a flood aware, water resilient and thriving city. Hull has a long history of bouncing back from challenges, seizing new opportunities, adapting and moving forward. Despite being one of the more deprived local authorities in the UK, the city has attracted major new investment and plays a key role in the UK economy. The Hull UK City of Culture 2017 Legacy Programme was established to continue to deliver impact following the highly successful year of culture. It is helping to cement an international reputation for innovation, creativity, and openness to change. The city and the LWWP are leaders in addressing resilience through innovative and collaborative solutions. One such inspiring local example is the Ark project being developed by the University of Hull and the Humberside Fire and Rescue Services. Ark will be a purpose-built UK National Flood Resilience Centre combining simulated full-scale urban and rural environments that can be inundated to provide flood emergency responders with realistic swift- and still-water training, and the research community with large-scale research and innovation infrastructure. It will help the UK to improve its management of and resilience against catastrophic flooding. The partners started working together on Ark in 2017 and aim to open the Centre in late 2020. 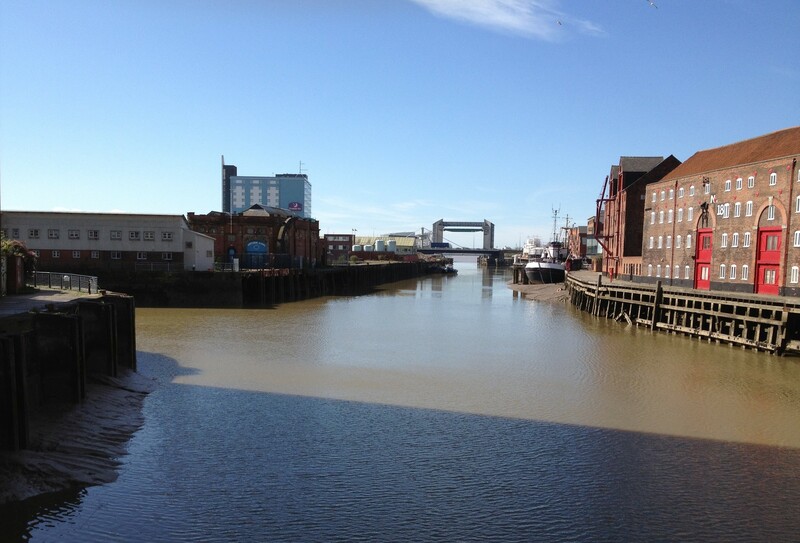 Building on initial research the team behind the City Water Resilience Approach conducted a field mission in Hull during 18–30 June 2018. Focus groups on water, waste, insurance, emergency planning, flood wardens, local counsellors and community groups. Semi-structured interviews (including business, water, waste, environmental planning, ports, regeneration and city planning, arts and culture, health and wellbeing, academia, Internal Drainage Board and regulators). Site visits to a major habitat creation and flood storage scheme on the south bank of the Humber, and to a small river restoration and community garden project in northwest Hull. A multi-sector CWRA workshop with 50-60 attendees, along with a focussed governance workshop with senior leaders, and 35 questionnaires completed. Emma Brown, Portfolio Manager for the Living with Water Team said, “Being part of the CWRA development has been a fantastic opportunity for the Living with Water Partnership to learn from and share with others on a global scale. The process has supported the partnership in furthering our understanding of urban water resilience and opportunities to map and measure it. We are excited to put the framework and tools into practice to both validate current activity and to identify new opportunities and relationships”. 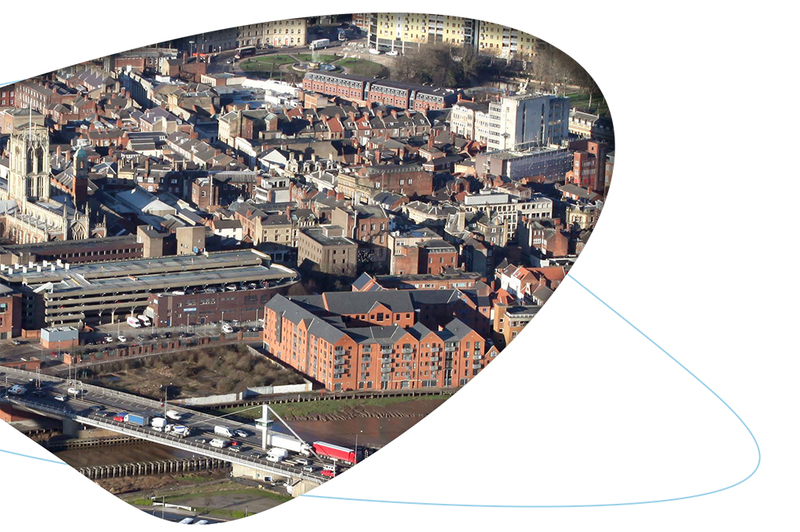 Now the results of this research and its contribution to the City Water Resilience Approach are published as the City Characterisation Report for Hull. 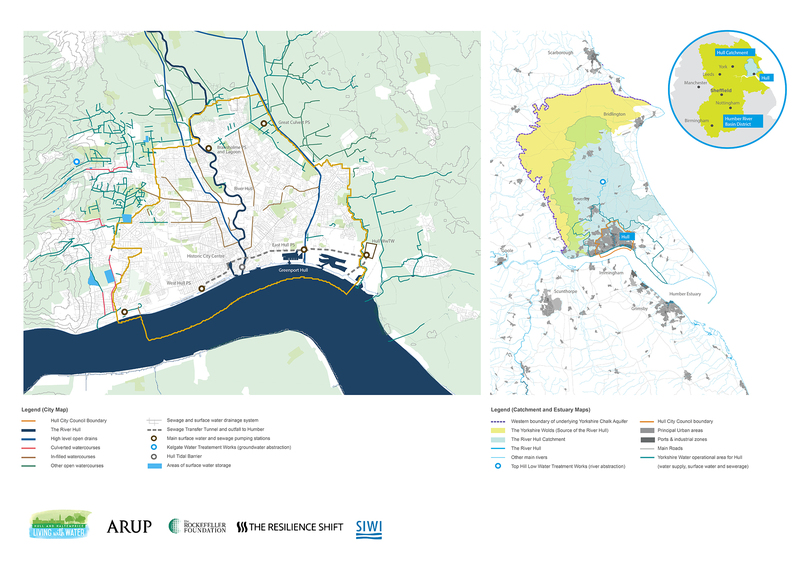 The document sets out the general factors of water resilience for Hull and those that would positively contribute to the resilience of the city’s urban water system. It also includes a summary of the city’s key programmes contributing to resilience and highlights a number of innovative case studies.